Hospital is completing a renovation to its Kennedy Memorial Drive complex. WATERVILLE — Councilors tonight will consider authorizing a revenue bonds issue of up to $6 million for Inland Hospital improvements. The meeting will be at 7 p.m. in the council chambers at The Center downtown. City Manager Michael Roy said towns and cities can authorize a certain amount of tax-exempt bonds every year and the city’s annual limit is $10 million. He said the city does not plan to borrow in 2014, “so, we don’t need any of the $10 million annual allotment,” he said. Inland has been renovating and equipping the hospital on Kennedy Memorial Drive over the last year or so. A 1,700-square-foot addition was built to consolidate the hospital’s medical-surgical unit and intensive care unit, relocate the pharmacy and provide equipment storage and office space. The Inland project included the renovation and expansion of three areas in the hospital. The medical-surgical and ICU units were consolidated into a new acute care unit. New private rooms were created and the unit layout was improved to provide for more efficient care. That project was complete in October this year. 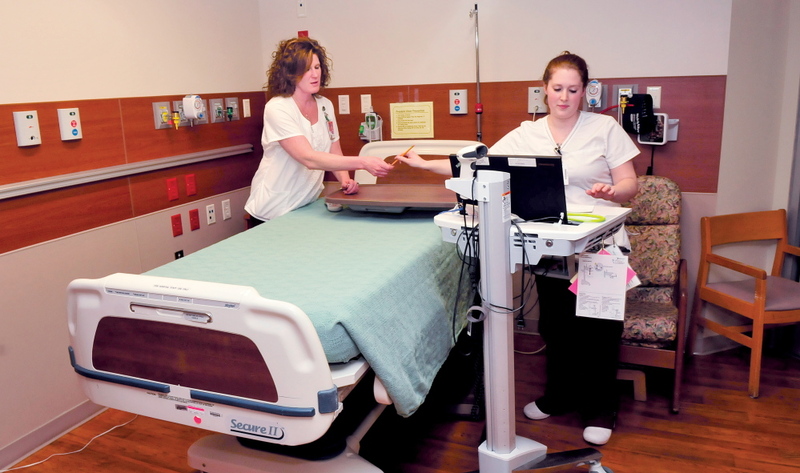 Two other improvement projects were completed more than two years ago and involved expanding the day surgery unit and adding two more labor-delivery-recovery-post partum rooms to the birthing center. Councilors must take three votes on the bonding issue and likely will take only one tonight, Roy said. He said the bonding would be through the Finance Authority of Maine and Inland would be named as the recipient. “We’re not involved in the actual receipt of the finds, or the disbursement,” Roy said. This would be the second time the city has authorized bonds for another entity, he said. Two years ago, it issued bonding for Delta Ambulance, which constructed a building on Chase Avenue. A public hearing on the Inland bond will be held just prior to a 7 p.m. council meeting on Tuesday, Jan. 7, he said. In other matters tonight, some councilors are expected to be appointed to serve on the finance committee, fair hearing authority and airport advisory committee. Councilors also will make appointments to boards and committees. The council will consider appointing Paul Lussier to the Planning Board to replace Dana Bushee Hernandez, who recently was appointed to the council. Lussier is former code enforcement officer for Waterville and Oakland.